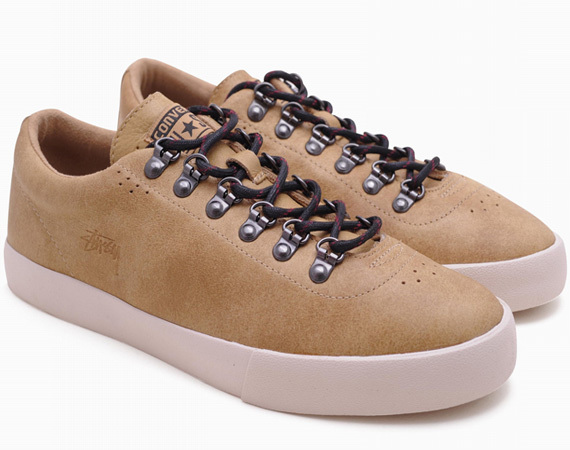 Stussy and Converse preview another collaboration for the spring -- a rugged version of the Elm skate shoe in three colorways. 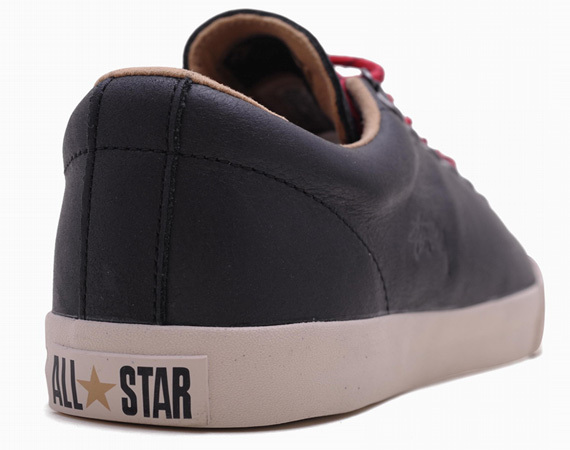 Following the Converse x Stussy Sea Star previewed yesterday, the two brands are set to release another collaborative effort this spring building on the Converse Elm skate shoe. 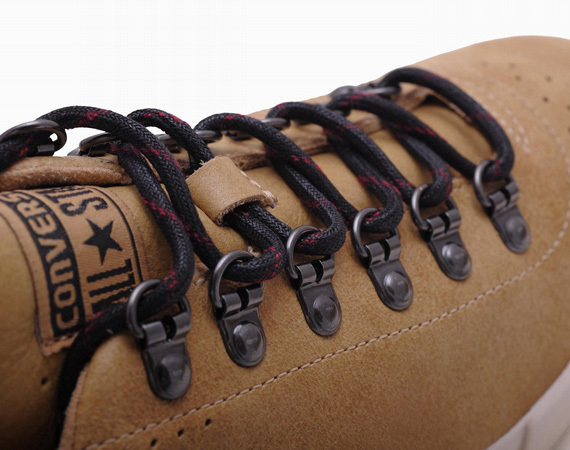 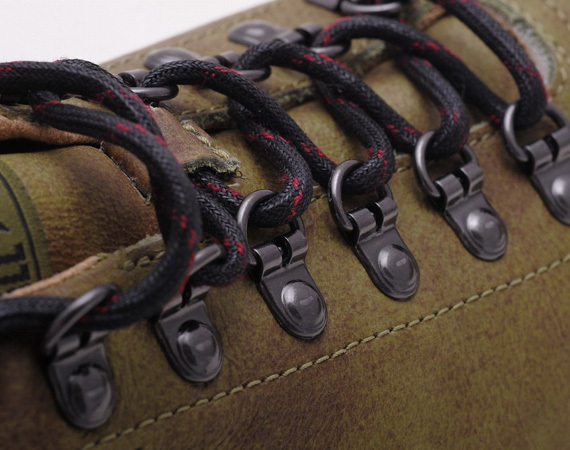 The Converse x Stussy Elm gets updated with d-ring eyelets and cord laces for a more rugged aesthetic. 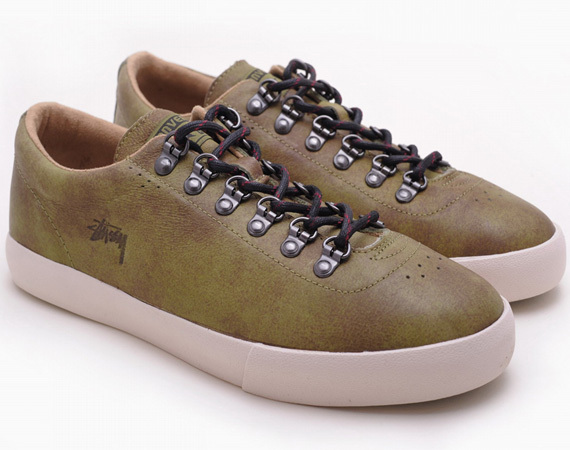 The leather upper comes in three colorways: tan, moss green and black. 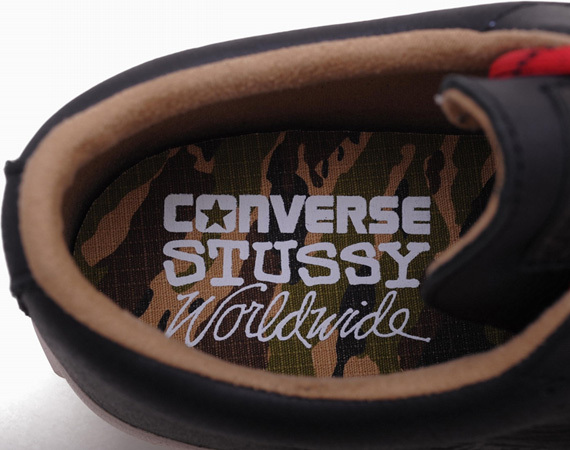 The Converse x Stussy Elm drops this spring at select Converse and Stussy retailers.